We’re an established part of your neighborhood and your affordable local mover. 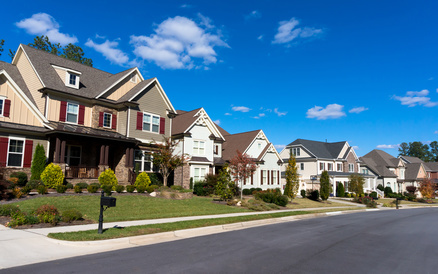 The Affordable Moving & Storage team specializes in local residential moves and has in-depth knowledge of the Garden State’s residential areas including apartment complexes, suburbs and 55+ communities. We’re also business moving specialists with detailed knowledge of New Jersey’s downtown and industrial areas. As your local moving company, we’re dedicated to providing affordablefriendly service to you, our neighbors. Unlike movers from more remote locations or out of state, we have a reputation to uphold in our community.Outside companies are often only interested in collecting payment while we strive to obtain repeat customers by offering quality affordable assistance. For us, it’s personal. We’re aware that word of mouth and referrals drive our business. Any dissatisfaction hits too close to home! We rely on your support so you can rely on us. Our commitment to our customers and the excellent service we provide has earned us a great reputation in our home state and beyond. The many benefits of using local moving companies. As a local moving company, we make the smallest job affordable. With a dependable local moving company like Affordable Moving & Storage, you no longer have to ask favors of friends or family members or rent a trailer or truck for a "do it yourself" move. Such moves can become costly if possessions are dropped, walls or floors are damaged, or backs are injured. We combine warmth and care with economical expert service. Our affordable pricing makes hiring a professional moveran option for everyone. Our experienced licensed movers have the tools and skills necessary to do any job - large or small - quickly and seamlessly. 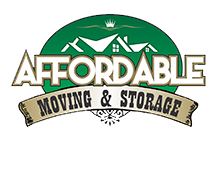 Affordable Moving & Storage has lower minimums than most movers. We’re the small move specialists. We realize that a small job done well for a low price can lead to more business in the future. It’s finally affordable to hire a professional company to move one piece of furniture like a piano, or the contents of a whole room so you can lay down new carpeting or renovate. And now you can move when it’s convenient for you! When you can use a local moving company like us. Because these involve short distances, some people think it’s unnecessary and unaffordable to hire a professional moving company. They forget that moving is widely acknowledged as being a stressful event, be it near or far. Using a good local moving company isn’t a luxury but a necessity. Today, with Affordable Moving & Storage, even people on a tight budget can afford to use professional movers. Whether you're packing a whole house or moving a heavy piece of furniture, it's a big undertaking, even if you’re only moving down the same block! That’s why Affordable Moving & Storage offers a full range of affordable services including packing, unpacking and storage. We're dedicated to providing personalized, old fashioned quality service while using the most up-to-date equipment and trucks.